With our Kananas software, you can upload documents from your computer to the backoffice. So, these documents are secured and can be shared with your members . 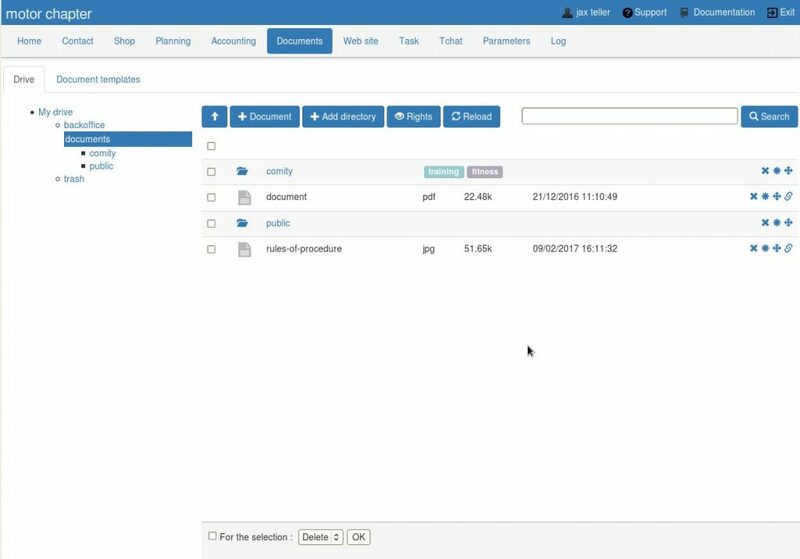 You can attach documents to member files, to products, and to activities. These documents will be stored on our servers, and Will be backed up every night . Go to the “document” tab if you want to attach documents to a member or go to the “photo” tab to attach documents to products and activities. Click on “Add a document” , and select the documents you wish to download . Tip : To select multiple documents, use the CTRL key and click on the documents. Go to the “Documents” menu then “drive” tab . You can browse the tree of your data from the left menu. With Drive, also known as Digital safe , you can organize your information system structure by creating directories. You can then upload documents : why click on the “+ Document” button. Members can access (only read) to the documents you placed in their file, from the “document” tab in their profile. They can access also from their personal space to the documents you want to share with them. Access rights are given to the directory level , you must specify which categories of members can view the content (click on the ” rights ” of the current directory).